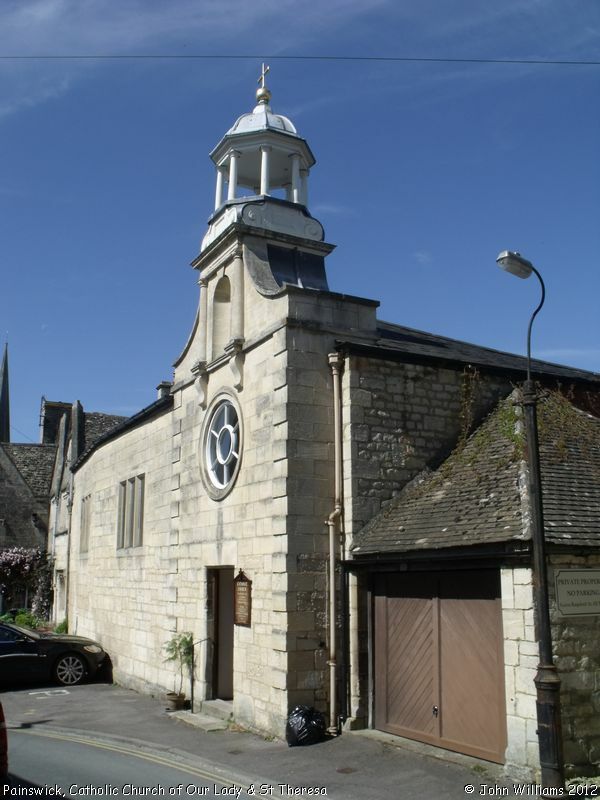 According to the Victoria County History series: A History of the County of Gloucester, Volume 11: Bisley and Longtree Hundreds (1976), pp.83 (Painswick - Roman Catholicism), this chapel was founded in 1935 in a building which had previously been a slaughter house. Its original dedication was to St Theresa of Liseaux. The building suffered bomb damage in 1941, but was rebuilt, to a design by Peter Falconer and Partners, and reopened in 1956. Catholic Church of Our Lady & St Theresa, Painswick shown on a Google Map. Places of Worship in Painswick shown on a Google Map. I have found many websites of use whilst compiling the information for this database. Here are some which deserve mention as being of special interest for Painswick, and perhaps to Local History and Places of Worship as a whole. Information last updated on 30 Dec 2014 at 15:10. 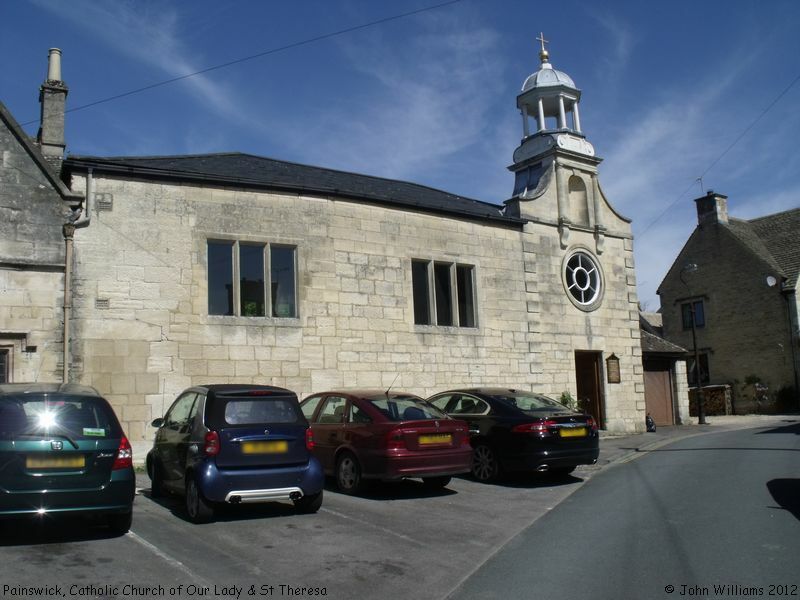 Please also remember that whilst the above account may suggest that Catholic Church of Our Lady & St Theresa remains open and accessible, this may not remain so. This Report was created 2 Apr 2019 - 14:20:19 BST from information held in the Gloucestershire section of the Places of Worship Database. This was last updated on 7 Feb 2019 at 07:45.